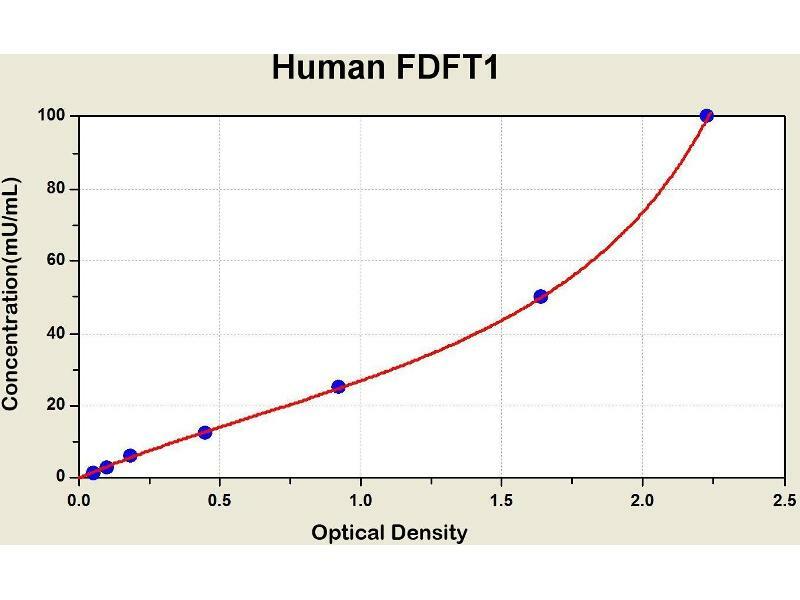 Diagramm of the ELISA kit to detect Human FDFT1with the optical density on the x-axis and the concentration on the y-axis. 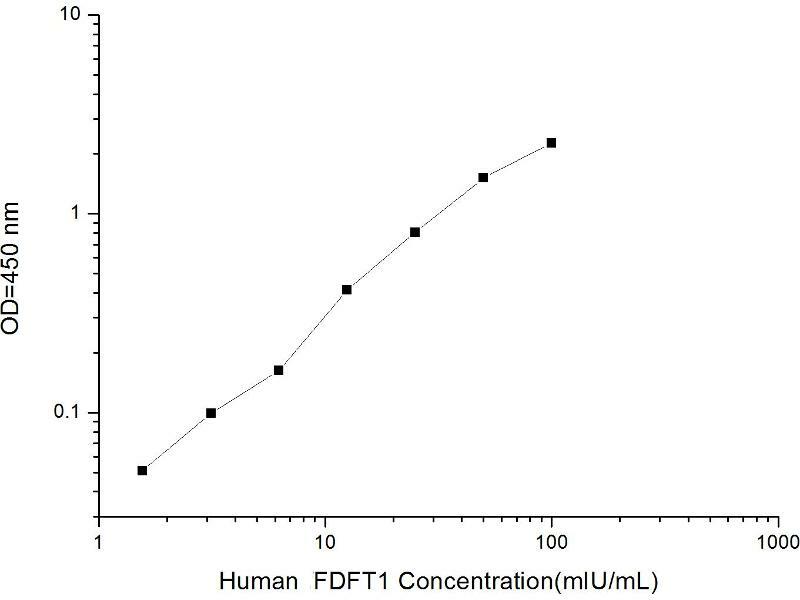 This gene encodes a membrane-associated enzyme located at a branch point in the mevalonate pathway. The encoded protein is the first specific enzyme in cholesterol biosynthesis, catalyzing the dimerization of two molecules of farnesyl diphosphate in a two-step reaction to form squalene.